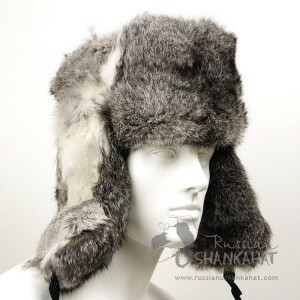 100% authentic soft rabbit fur hat with ear flaps. Please note this is natural rabbit fur hat. 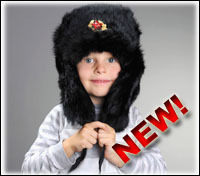 It is not dyed and hat that you will receive may slightly differ in color from the pictured hat. Metal military badge will be included but not attached. And finally, it is a great gift idea!